The due process hearing in this case convened on January 15, 16, 17, 24 and 25, 2013, before Paul H. Kamoroff, Administrative Law Judge (ALJ) from the Office of Administrative Hearings (OAH), State of California. Eric B. Freedus, Attorney at Law, appeared on behalf of Parents on behalf of Student (Student). Mother attended each day of the hearing. Student did not attend the hearing. Tiffany M. Santos, Attorney at Law, appeared on behalf of the Vista Unified School District (District). Steve Davis, Supervisor of Special Education for the District, was present during the majority of the hearing. Matt Doyle, the District’s Interim Executive Director of Special Education, was present during one day of the hearing. On September 4, 2012, Student filed a Request for Due Process Hearing and Mediation, naming the District as the respondent. On September 5, 2012, OAH issued an order setting the timelines for this matter. On October 22, 2012, Student requested to continue the due process hearing, which was granted. On November 20, 2013, the District requested to continue the due process hearing, which was granted. At the request of the parties, the record remained open for the submission of written closing arguments. The parties filed their closing briefs on February 7, 2013. The ALJ marked Student’s closing brief as Exhibit S-42 and District’s closing brief as Exhibit D-44. The matter was submitted on February 7, 2013. 2) Whether the District denied Student a FAPE for the 2012-2013 school year by failing to find Student eligible for special education, and the resultant failure to offer appropriate placement and services. Student seeks an order finding Student eligible for special education, compensatory education and services, reimbursement for education and services, and an order compelling the District to convene an IEP meeting to develop an appropriate school program. Student is a young boy who has been found to exhibit some behaviors that fall into the high functioning autism spectrum disorder. In December 2010, the District conducted initial assessments of Student and determined he was not eligible for special education. In September 2011, the District conducted additional assessments. The District held an individualized education program (IEP) meeting in October 2011 to review the recent assessments, and again determined that Student did not meet eligibility for special education. Parents disagreed with the District’s assessments and requested independent educational evaluations (IEEs). The District provided Student IEEs and held an IEP meeting in March 2012, where the District determined that Student was not eligible for special education. Student asserts that he requires special education and related services as a pupil with autism. Student contends that he has impaired social development and will, at some point, have academic difficulties attributable to autism. Student complains that the District has a legal obligation to remediate these projected areas of deficit presently. Student argues that the sole manner of remediating these projected deficits is through special education and related services. The District responds that both its initial assessments and secondary assessments failed to identify Student as a pupil with autism, or with any handicapping condition. The District also argues that the IEEs it provided failed to identify Student with a handicapping condition that requires special education. The District also points to the excellent progress Student has made in the regular education classroom without special education. For these reasons, the District argues that Student’s disability, if any, can be addressed through a general education curriculum, and that Student does not meet eligibility criteria for special education. This Decision does not portend to determine whether Student has autism. Nor does this Decision establish in any manner whether Student will require special education and related services at a later point during his educational development. Rather, this Decision finds that during the narrow time-frame in dispute, the 2011-2012 and 2012-2013 school years, through the date of the Decision, that Student did not require special education. 1. Student is a six year old boy who currently attends first grade at Lake Elementary School, a District school, where he has attended a regular education program since kindergarten. At the age of four years, Parents began suspecting that Student may be autistic. Based upon this belief, Parents initiated a series of private and public assessments. 2. On November 5, 2010, Dr. Ayala Ben-Tall, Parent’s private assessor, assessed Student. The assessment1included the Autism Diagnostic Observation Scale (ADOS). The ADOS is a standardized measurement which involves the examiner formally engaging the child in different social interactions. The test comprises three domains: social interaction, communication, and the combined communication-social interaction. The ADOS requires that a child meet or exceed each of the autism thresholds in each domain to be found to be on the autism spectrum. Based upon the ADOS, Dr. Ben-Tall found that Student did not meet the eligibility criteria for autism. 3. On December 7, 2010, Jennifer Gruman, District school psychologist; Rachel Schmidt, District speech-language pathologist (SLP); and Drucilla Kent, District teacher, conducted a transdisciplinary assessment of Student, which consisted of structured and unstructured play activities, observations, parent interview, and standardized tests. They noted Student was “interactive with examiners, as evidenced by his smiling and interacting both in play and conversation. Student was cooperative, socially engaging, utilizing a variety of spontaneous phrases and joint interactions.” The District team found that Student exhibited age appropriate cognitive functioning, pre-academics, self-help, motor skills, articulation, receptive and expressive language, including pragmatics. Student did not meet eligibility criteria for special education under any category. 4. On January 19 and 24, and February 10, 2011, Debbie Earich, District occupational therapist (OT), completed an OT assessment of Student. Her assessment included a records review, observations, interviews, task completion, and she administered the following tests: the Peabody Motor Development Scales and the Sensory Processing Measure – Preschool classroom edition. She reported that Student had done a “beautiful job” adjusting to the preschool environment, had friends, and showed increased spontaneous social interactions. She noted that he “has become more comfortable and secure in his preschool environment, his personality has started to blossom. He was recently the ringleader in a game of chase on the playground.” Her report found that Student exhibited average fine motor skills and typical sensory processing. Ms. Earich did not find that Student manifested any area of OT related deficit and she did not recommend OT services. 5. 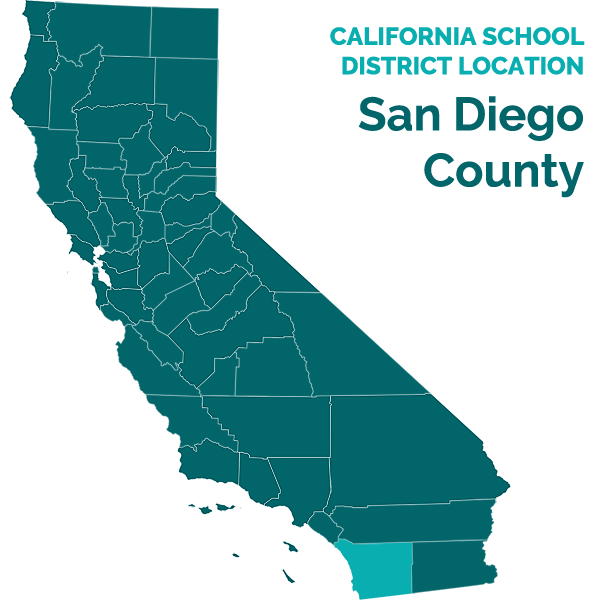 On April 12, 2011, Kiki Roe, Ph.D., assessor for the San Diego Regional Center (SDRC) assessed Student and determined that he did not meet the diagnosis of autism. The SDRC determined that Student was not eligible for regional center services. 6. On May 9, 2011, Dr. Mary J. Pionk, Parent’s private assessor, drafted a report stating that Student exhibited some behaviors that fell into the high-functioning autism category. This report concluded that Student had normal fine motor and gross motor abilities, and had cognitive and adaptive abilities which fell into the average range. 7. On May 17, 2011, Ms. Schmidt prepared a progress report regarding Student’s participation in a literacy group with 15 students. She reported that Student “warmed up to his teachers and peers, answered questions, laughed at funny parts of stories, and came to the front of the class to sequence pictures and retell a story.” He demonstrated an understanding of each story, and was able to recall information and answer questions. 8. By the end of the 2010-2011 school year, Ms. Kent, Student’s preschool teacher, reported that Student had made good academic progress, was very social, and had developed friendships with classmates. She did not observe any problematic or atypical behaviors. 9. On July 25, 2011, the nonpublic agency Center for Autism Research, Evaluation & Service (CARES), hired by Parents, assessed Student using the ADOS and found that Student met the diagnostic criteria for autism. Based solely upon the CARES report, on August 10, 2011, the SDRC sent a letter to parents indicating that Student was now eligible for regional center services. In February 2012, funded through the SDRC, CARES began providing Applied Behavior Analysis (ABA) therapy to Student at home. ABA is a treatment for children with autism spectrum disorders. ABA utilizes intensive skill training based on a reward system (sometimes called “discrete trials”). CARES’ ABA program focused primarily on reducing at-home tantrums. 10. Prior to the beginning of the 2011-2012 school year, based in part upon the CARES report, Parents requested that the District reassess Student to determine whether he met eligibility for special education. The District agreed to Parents’ request. 11. In September and October 2011, Jennifer Godfrey, District school psychologist, completed a Psycho-Educational evaluation pursuant to Parents’ request. Ms. Godfrey received her bachelor of arts (B.A.) in psychology and a master’s in school psychology in 2004. She has 10 years’ experience working in the school setting and has attended several trainings and conferences regarding pupils with disabilities. Ms. Godfrey is also trained in the administration of the ADOS. She has significant experience in assessing students and determining eligibility for special education services. Ms. Godfrey testified as an expert on behalf of the District. 12. Ms. Godfrey conducted a comprehensive assessment of Student over five sessions in September 2011. Her assessment included a review of school and private reports; interviews with Student, his teacher and Parents; observations over the course of five days in the classroom, testing room, and playground; administration of standardized assessments; administration of rating scales with input from teacher and Parents. She administered the following tests: Kaufman Assessment Battery for Children – Second Edition; Berry Buktenica Developmental Test of Visual –Motor Integration – Sixth Edition; Vineland Adaptive Behavior Scales – Second Edition (Vineland II); and Autism Spectrum Rating Scales (ASRS). 13. Ms. Godfrey found that Student demonstrated above average short term memory, high average crystalized (acquired knowledge) ability, average visual processing, average long term memory, and above average visual-integration abilities. 14. The ASRS, which is an autism rating scale, was completed by Student’s Parents and his teacher. The teacher’s rating scores did not identify any area of deficit, while the Parents’ scores indicated concerns in social communication and unusual behaviors. 15. Ms. Godfrey observed Student in a variety of locations, including his classroom, her testing room, and with peers on the playground. Ms. Godfrey did not observe any atypical behaviors, and observed Student engage in reciprocal conversation in both the classroom and on the playground. 16. Ms. Godfrey’s assessment determined that Student did not meet the criteria for autistic-like behaviors, or for any other handicapping condition. Following her assessment, Ms. Godfrey continued to observe Student at school on a weekly basis throughout the remainder of the 2011-2012 school year, and frequently consulted with his teacher. 17. Ms. Godfrey testified that, per her assessment and continued observations in both the classroom and the playground, Student did not exhibit any autistic-like behaviors. Ms. Godfrey observed Student engage in reciprocal conversation in both the classroom and during lunch recess, with peers and adults. She also testified that Student’s teacher had never mentioned any academic, social or behavioral concerns pertaining to Student. 18. Ms. Godfrey testified that during her multiple observations of Student, she did not observe any atypical mannerisms, routines or behaviors. She credibly testified that Student did not meet any of the criteria for special education for autistic-like behaviors, or for any handicapping condition. 19. In conjunction with the District’s Psycho-Educational assessment, on October 5, 2011, Jana Hegg, District special education teacher, completed an academic assessment of Student. Ms. Hegg administered the Wechsler Individual Achievement Test, Third Edition, to Student during two sessions over a two day period. Student was cooperative during the assessment and easily built a rapport with the examiner. He was able to answer questions and participate in conversation. Ms. Hegg found that Student demonstrated average skills in listening comprehension, oral language, reading skills, math, writing fluency, and oral expression. She found that Student did not demonstrate any academic difficulties. 20. Ms. Hegg testified as a witness on behalf of the District. She has worked as a general education, special education, and resource specialist teacher for 14 years, primarily in elementary schools. She has assessed many students with and without disabilities as well as attended IEP meetings. She has authored social skills curriculum to support pupils with autism spectrum disorders and conducted social skills groups for students with and without handicapping conditions. Following her assessment of Student, she continued to observe him on the playground and in the classroom, as well as consult with his teachers. She observed Student interact well and in a typical manner with teachers and students. She did not observe Student display any characteristics attributable to autism, or any behaviors which impacted his performance in a general education classroom. Ms. Hegg testified that Student did not and does not meet any of the criteria for autistic-like behaviors. 21. On October 11, 2011, Christine Goan, the District’s SLP, completed a comprehensive speech and language assessment for Student. Ms. Goan, an SLP for more than 18 years, has worked in both school and clinical settings. For 18 years, she has assessed, screened, and provided direct services to elementary school students with various handicapping conditions and with no handicapping condition. She has attended various trainings and conferences regarding pupils with autism. She has also designed a communications skills curriculum for use in general education classes with small groups. Ms. Goan conducts between 40 to 60 assessments and 30 to 50 screenings each year pertaining to speech and language. She conducted a comprehensive speech-language assessment of Student during the 2011-2012 school year, which included a review of records, standardized tests, checklists, observations and input from Parents and teachers. Following her assessment, she continued to observe Student on the playground and in the classroom and consulted with his teachers. Ms. Goan testified as an expert on behalf of the District. 22. Ms. Goan’s report included a review of the District’s prior speech and language testing, including the Preschool Language Scale – 4, where Student achieved average scores in auditory comprehension and expressive communication, along with language samples, which reported that Student’s spontaneous oral language fell within the normal range. Ms. Goan administered the Comprehensive Assessment of Spoken Language, the Goldman Fristoe Test of Articulation, and the Pragmatics Skills Checklist. Ms. Goan found that Student exhibited average expressive and receptive language skills, and articulation skills within the normal developmental range for his age. Per his teacher, Student was rated as having average pragmatic skills; however, his Mother rated his pragmatic skills as being low. 23. Ms. Goan observed Student as being cooperative and responsive to peers and his teacher. She observed Student to self-advocate and engage in reciprocal conversations. He was attentive in class and actively completed his assignments. Ms. Goan continued to observe Student following her assessment, in both the classroom and the playground. She routinely observed Student engaged in play with other pupils on the playground, and actively engaged in the classroom. 24. Ms. Goan’s report concluded that Student did not meet the eligibility criteria for a speech and language impairment. During the hearing, Ms. Goan credibly testified that Student did not demonstrate any disability at school, including autistic-characteristics, and that Student benefited academically and socially while at school. 25. On October 13, 2011, the IEP team convened to review the recent District assessments. The following people attended the IEP meeting: Mother; Father; Page Mckennett, who facilitated the IEP meeting and acted as the administrator designee; Patrice Michel, classroom teacher; Christine Goan; Jana Hegg; Jennifer Godfrey; and Parents’ advocate. 26. The IEP team reviewed the recent speech-language assessment and the Psycho-Educational evaluation. District staff also reviewed present levels of performance in reading; written expression; mathematics; communication; gross/fine motor development; social/emotional/behavioral development; health; adaptive/daily living skills, and; prevocational/vocational development. The District team reported that Student was performing at an average level in all reported areas. Student’s general education teacher, Patrice Michel, reported that Student was performing well both academically and socially in the classroom. She reported no educational concerns. Parents and their advocate participated in the IEP discussion. 27. District IEP team members determined that Student did not meet the eligibility criteria for special education services. Parents disagreed with the District’s reports and requested IEE’s in the areas of social skills and speech-language, in the area of pragmatics. Parents’ advocate requested that Dawn Holman, Ph.D., and Juli Vazquez, SLP, conduct the IEE’s. The District agreed to the Parents’ advocate requests. 28. On March 12, 2012, Dr. Dawn Holman of Autism Spectrum Consultants (ASC) conducted an IEE report. Dr. Holman received a B.A. in psychology from UCLA, a master’s in clinical psychology and a doctorate in educational psychology from USC. Dr. Holman worked with Dr. Ivar Lovaas for the Young Autism Project and is a licensed Marriage and Family Therapist. She is the Clinical Director for the San Diego office of ASC. Dr. Holman testified as an expert on behalf of Student. 30. Dr. Holman’s report recommended that Student be provided intervention in the area of social skills instruction. She also recommended that Student’s ability to remain at grade level academically, behaviorally and socially, be monitored. (Emphasis added.) She did not make any eligibility findings in her report. 31. Dr. Holman has not tested or observed Student since her report. However, during her testimony Dr. Holman diagnosed Student with high functioning autism. She commented that Student likely had difficulty initiating pretend or symbolic play with his peers, and would have difficulty initiating complex conversations, including perspective taking of others, at some later point during his academic career. She opined that although she did not observe any present difficulties while at school, these areas of concern would become more pronounced as Student reached the third and fourth grades. To address these projected delays, she recommended that Student receive eligibility for special education under the category of autism and that Student receive intervention in social skills. 32. Dr. Holman is a highly qualified assessor. However, her IEE report failed to identify an area of special education eligibility. Similarly, Dr. Holman’s testimony failed to substantiate that Student presently requires special education. 33. On March 20, 2012, Juli Vazquez, an SLP, prepared a Social Cognitive IEE. Ms. Vazquez received a B.A. in linguistics and a master’s in communication disorders in 1994. She has been the co-founder and co-director of Social Communication Specialists, a private therapy center, since 2008. She testified as an expert on behalf of Student. 34. Ms. Vazquez’s report included a review of records, a one hour observation at school, an interview with Student, various questionnaires and rating scales, and informal testing. She did not administer any standardized testing. The questionnaires included the Social Play Skills Questionnaire; Conversation Checklist; Play Questionnaire; and the Autism Social Skills Profile. 35. Ms. Vazquez provided the various questionnaires to Parents and to the District. However, the questionnaires provided to the District were not returned. Ms. Vazquez testified that she did not contact Student’s teacher regarding the proposed questionnaires and she completed her report without teacher input. Parent provided data indicated that Student had delays in conversation and social skills. 36. Ms. Vazquez reported that, in the classroom, she observed that Student’s physical orientation and affect were appropriate. She reported that Student was attentive and responsive to both his teacher and to the students around him. When some students entered the classroom, she observed him to look at the students, and nonverbally greet them. When called upon by the teacher, Student was able to answer with a correct response in an appropriate amount of time. On the playground, she observed Student to play with typically developing peers, exchange smiles and speak with his peers, and exhibit a friendly and appropriate affect throughout various peer interactions and in a variety of settings (e.g. play structure, snack, picnic table, etc.) Ms. Vazquez observed Student respond both verbally and nonverbally to the comments and questions of other students. She observed him giggle appropriately when something funny was said, and engage in reciprocal conversations and play. She also observed Student initiate conversations. 37. Ms. Vazquez’s report found that Student exhibited a delay in executive and symbolic play skills. She recommended that Student would benefit from speech and language services in the areas of abstract language skills. 38. Ms. Vazquez testified in support of her assessment. She opined that although she did not observe any overt delays at school, that Student may lack sufficient symbolic play and conversational skills. Similar to Dr. Holman, Ms. Vazquez emphasized that social skills, including executive skills and abstract communication, would become more difficult for Student as he progressed to higher grade levels. 39. Ms. Vazquez provided contradictory testimony. She testified that Student lacked the ability to engage in pretend and imaginative play. Yet, she acknowledged that she observed Student engage in a variety of pretend and imaginative play activities, including “pretend shooting games,” digging for gold in the school’s sandbox, acting as a “gatekeeper” while playing with several classmates during recess, and pretending to have a lizard in his lunchbox. These contradictions, coupled with Ms. Vazquez’s failure to speak with Student’s teacher as part of her report, or to conduct any standardized testing, diminished the persuasiveness of her testimony. 40. On March 22, 2012, the District convened an IEP team meeting to review the IEE’s. The following people participated at this meeting: Mother; Father; Page Mckennett; Jennifer Godfrey; Dr. Holman; Diane Lambert, school principal; Christine Goan; Patrice Michel; Jana Hegg; Juli Vazquez, who attended by telephone; Paola Adelaid Gonzales, a service provider from CARES; and Parents’ advocate. The purpose of the IEP was to review the IEE’s and to report on Student’s progress thus far during the 2011-2012 school year. 41. The IEP team reported that Student had made academic and social progress while at school. During the 2011-2012 school year, Student received “advanced” or “proficient” grades in all areas. With regard to “Work Habits and Social Skills,” Student exceeded or met expectations. He did not require help with social interactions. He appropriately took turns with his peers. Neither the District staff nor the independent assessors had observed Student tantrum at school or display any inappropriate behaviors. At this time, Student did not have any difficulties in any area of academics, behaviorally, or with social interactions. 42. The District team analyzed that the deficits identified in the IEE’s were not being observed at school and did not impact his academic or social progress. The District declined to find Student eligible for special education. Although the District did not believe that he required it, the District offered structured social skills training as a general education intervention to address Parents’ concerns. Parents disagreed with the IEP team’s denial of special education eligibility and declined the offer of social skills intervention. 43. On September 4, 2012, Student filed his request for due process hearing, alleging that the District should have found him eligible for special education and offered him an appropriate placement and related services during the 2011-2012 and 2012-2013 school years. 45. Patrice Michel was Student’s Kindergarten teacher during the 2011-2012 school year. She testified as a witness on behalf of the District. Ms. Michel has more than 18 years of experience working in public schools as both a general education teacher and special education teacher. She has direct experience teaching pupils with and without disabilities, including pupils with autistic-like behaviors. As a teacher, she has participated in numerous IEP meetings regarding various issues, including determining eligibility for special education. 46. Ms. Michel observed and worked directly with Student each school day during the 2011-2012 school year, during both structured and unstructured classroom and playground activities. She observed Student interact with a variety of students and adults. Ms. Michel also contributed to the District’s assessments of Student, assessed him formally and informally, and participated in his IEP meetings. 47. Ms. Michel testified that Student would often request help without prompting. She recounted that Student was a preferred peer, meaning that other students would seek out his friendship. She described Student as an adept skateboarder who, following a skateboarding accident, sought her help in applying sunscreen to his face. Ms. Michel detailed various examples of Student initiating conversations with adults and peers, and actively participating in class, including whole group, small group, and one-to-one partner settings. He did not perseverate and easily transitioned between activities. She described Student as an average to above average pupil both academically and socially. 48. Ms. Michel credibly testified that Student did not exhibit any of the behaviors associated with criteria for eligibility for a student with autistic-like behaviors. 49. Sara Trejo was Student’s first grade teacher during the 2012-2013 school year. She testified as a witness on behalf of the District. Ms. Trejo has worked in the school setting for almost eight years. She has also worked as a one-to-one aide for students with special needs. She conducted formal and informal assessments of Student, and observed and worked with him daily. 50. Ms. Trejo described Student’s first grade class as a regular education classroom with 26 students and one teacher. The school day is divided into different academic blocks, along with breaks for lunch and recess. There is one aide in the classroom, who is assigned to an IEP student. She presently has one pupil with an IEP in her class, who has a visual impairment, auditory processing deficits and behavior problems. During the past school years, Ms. Trejo has had several pupils attend her classroom with IEP’s due to autism or autistic-like behaviors. She described these pupils as having difficulty with sensory processing, self-stimming behavior, off-task behaviors, communication delays, and as being isolated from their typically developing peers. She has not observed any similar characteristics displayed by Student. Ms. Trejo does not believe that Student is autistic. 51. Ms. Trejo described Student as a hard worker who easily transitions between the core academic blocks, along with lunch, recess and physical education. She utilizes a “productive partnering” method, whereby each student is partnered throughout the day with another peer. The partnership is rotated between pupils every two months. Student has easily transitioned between various partners. She described Student as social and well-liked by his peers. Ms. Trejo has not observed Student disrupt the class or exhibit problem behaviors of any sort. 52. Ms. Trejo testified that Student is proficient in all academic areas, has strong reading comprehension skills, and is able to correctly answer comparing and contrasting questions related to grade level text. Student is also able to sequence stories and events at the first grade level. 53. Ms. Trejo has observed Student engage in role playing and pretend play during Social Studies class, and at recess on the playground. She has observed Student pretend to be a firefighter and a school teacher. She described that Student has a core group of friends, and has also seen Student play with peers which fall outside of this group. She has observed Student routinely and appropriately take part in reciprocal conversation inside and outside of the classroom. 54. Ms. Trejo credibly testified that she has not observed Student exhibit any of the characteristics outlined in the criteria for autistic-like behaviors. 55. Dr. Kathie Sweeten has been the Co-Director/Vice President of CARES since 1999. Dr. Sweeten received a bachelor’s degree in psychology in 1989, a master’s in community/clinical psychology in 1992, a doctor of psychology in 1997, and a graduate certificate in behavioral intervention in autism in 2008. She testified as an expert on behalf of Student. 56. Dr. Sweeten has limited knowledge of Student. Dr. Sweeten has not personally assessed Student or provided him any services. She has not attended any IEP meetings for Student, reviewed his school records, or spoken to any of his teachers or District assessors. The only documents she has reviewed pertaining to Student were those prepared by CARES; none of which include input from Student’s teachers or District assessors. Dr. Sweeten’s testimony was primarily limited to her support of the July 2011 CARES’ report, and of an observation she conducted of Student in November 2012. 2Ms. Gonzales, who was also Student’s at home ABA provider through CARES, did not testify at hearing that he requires special education. For these reasons, Dr. Sweeten’s recommendation that Student receive eligibility for special education and related services was not persuasive. 57. However, the July 2011 CARES’ report was conducted by Paola Adelaid Gonzales.2 This report has been consequential throughout the last few years of Student’s educational career. This report is the exclusive basis for SDRC eligibility and services and was instrumental in having the District reassess Student for special education eligibility. While this report included the results of Student’s performance on the ADOS, a helpful tool for identifying autism, Dr. Sweeten testified that she did not administer that assessment and is not certified and/or qualified to interpret it. Consequently, Dr. Sweeten’s testimony regarding the CARES’ ADOS testing was limited to her description of Ms. Gonzales as a trustworthy assessor and employee for CARES. 58. On November 15, 2012, Dr. Sweeten conducted an observation of Student at school. Per this direct observation, Dr. Sweeten described Student as “smart,” “high functioning” and a “sweet child.” She observed that Student did well in the classroom, had no fine motor dysfunctions, and was very compliant. 59. Dr. Sweeten testified that, per her review of CARES’ ABA reports, Student would sometimes tantrum at home. However, she did not observe Student tantrum while at school, and she did not observe disruptive behaviors of any sort. 60. Dr. Sweeten observed Student engage in reciprocal play and dialogue with his teacher and classmates. However, she described that she is uncertain who initiated these interactions. Due to this uncertainty, Dr. Sweeten opined that Student likely had difficulty initiating play and conversations. 61. Dr. Sweeten testified that it is “difficult to recognize Student’s deficits because he is so high functioning.” She found that Student was doing well in the regular education classroom without any supports. However, Dr. Sweeten analyzed that Student will have deficits attributable to autism within five to 10 years. She speculated that a failure to address those deficits now would likely cause Student to fall behind academically and emotionally later in life. To address projected deficits in communication and social development, Dr. Sweeten recommended that Student be found eligible for special education as autistic. She further recommended that Student be provided speech-language services in the area of social skills, and a behavior support plan (BSP). She did not identify which behaviors should be addressed in the BSP. 3Although Father was named as a party in Student’s complaint, he did not testify or attend the hearing. 63. Mother testified on behalf of Student.3 However, her testimony was brief and almost entirely limited to authenticating various reports. 64. In regard to Student’s performance at school, Mother testified that she felt Student was doing well in school, and performed “amazing” in structured environments, such as school. She did not report any areas of academic difficulty. 65. In regard to Student’s receipt of at home ABA, Mother stated that while Student “holds it together at school,” he required additional support while at home. Mother elaborated that Student is often a picky eater at home and has shown some tactile defensiveness with certain clothes. Mother testified that she was not aware of any eating problems which occurred while Student was at school. Mother observed that although Student does have school-based friends, he is often isolated when she takes him by himself to the park. She described that Student has an older (eight year old) brother who is typically developing. Mother is concerned that Student will often follow his older brother’s lead in regard to play activities, rather than initiate play with his brother. 66. Mother presented as a caring and diligent parent. However, her testimony failed to substantiate Student’s assertion that he requires special education and related services. Issue I: Whether the District denied Student a free appropriate public education for the 2011-2012 school year by failing to find Student eligible for special education, and the resultant failure to offer appropriate placement and services. 12. Student contends that he meets the state statutory criterion for a pupil with autistic-like characteristics. Student asserts that he therefore should have been provided eligibility for special education, an IEP, and related services; including speech-language and social skills. Student argues that it is irrelevant whether the nature of his disability impacted his ability to succeed in the general education classroom without specialized education. (2) An obsession to maintain sameness; extreme preoccupation with objects or inappropriate use of objects or both. (4) Displays peculiar motoric mannerism and motility patterns. (6) A history of extreme withdrawal or relating to people inappropriately and continued impairment in social interaction from infancy through early childhood. Issue II: Whether the District denied Student a FAPE for the 2012-2013 school year by failing to find Student eligible for special education, and the resultant failure to offer appropriate placement and services.